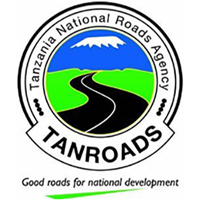 TANZANIA NATIONAL ROADS AGENCY (TAN ROADS) is a Semi-Autonomous Agency under the Ministry of Works, Transport and Communication established on July 1, 2000 and is responsible for the day-to-day management of the Tanzania Mainland's trunk and regional roads network. Its primary functions include the management of maintenance and development works, operations of the network and Axle Load Control, the implementation of road safety and environmental measures, provision of advice on the strategic framework, policies and plans for the road sector. Performing other duties as may be assigned from time to time by the Shift Incharge/ Regional Manager. 6. Must be Tanzanian citizen. 1. Driving Agency's vehicle in urban and remote areas. 6. Performing any other related duties as may be assigned from time to time by Shift In-charge/ Regional Manager. All interested and qualified Tanzanians are invited to submit their own handwritten application letters, enclosing detailed curriculum vitae and CERTIFIED COPIES of relevant education and professional certificates, birth certificates, together with names of two referees and their contact addresses, telephone number(s) and Email addresses, so as to reach the address mentioned below not later than 04th May, 2018. Applications which will be received after deadline SHALL NOT be considered. Only shortlisted candidates will be contacted.